Excerpt from the article: The "triangle" of the crisis, the "friendly" advice of the City to the Germans or the Imperial trap for Berlin EPIKERA magazine 156th issue. When the disaster occurs, when the dust settles, the people of Europe will begin to blame each other and everyone will blame the Greeks. 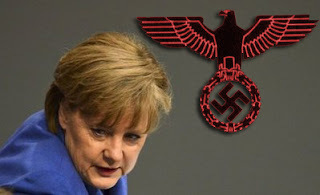 The Germans and other Europeans leaders blame Greece as responsible for all the ills of Europe. 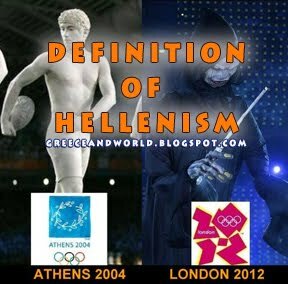 The Brits know the Greeks and the Germans much better than what the Greeks and the Germans know themselves. Fought against them and defeated them repeatedly and in different ways. Investors and traders in the City may provide a possible outcome if followed their advice - and it is followed. Their advice will accelerate the destruction of Greece, resulting that Greece and Europe will be watered down so much that they will not be able to deal with them. It is also likely that the Greek people will be pushed out sooner or later to some kind of insurrection or rebellion, first against the Greek government, but probably against Germany and the EU. 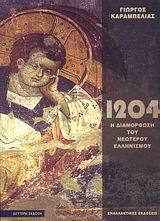 Someone can not criticize the Greeks. They made the second most important European revolution after the French and convened a National Assembly in 1822, when Napoleon was defeated and the Holy Alliance that ruled Europe at the time condemned any rebellion. Also organized the most massive resistance movement during World War II, taking into account the country's population. Investors and traders in the City also know very well the German temperament, they know that Germans love discipline to the same extent that the Greeks love rebellion. They believe that Berlin would react to an uprising in Greece with a hard, rigid and non-political way. Germany and the EU's political and economic weight are able to induce in Greece an even bigger disaster than it' s already been caused by their policies - and with the cooperation of the Greek government. But do not have the means to avoid the financial and mainly political, ideological and geopolitical implications of the destruction of a small but simultaneously the most historical country in Europe. They can do it, and probably will, but this will accelerate their destruction. If after their adventures in the Middle East Americans rely on the "law of unintended consequences", we should introduce in Europe the new "law of asymmetric effects." The idea of ​​political unification of Europe will accept a mortal blow. Already the political climate in Europe is poisoned. 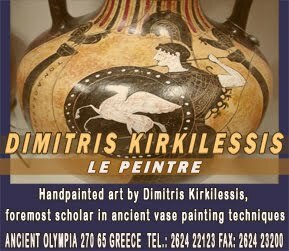 Both the "rich" and the "poor" Eurozone countries have begun to protest against the" assistance" to Greece, ignoring the fact that the Greeks are not helped in any way, the banks are and they destroy Greece, and in some cases they speculate and profit from the difficulties of a member country of the EU. Everyone in Europe has begun to seek national solutions. In France, which has always been the political barometer of the whole continent, the fascist National Front of Marine Le Pen is now a socially acceptable political power. The fundamental political office that created and maintained postwar prosperity, democracy and peace in Europe is undermined rapidly before our eyes. When the disaster occurs when the dust settles, the people of Europe will begin to blame each other and everyone will blame the Greeks. 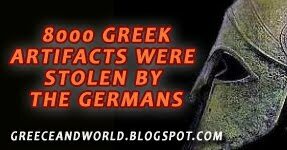 The Germans and other Europeans leaders blame Greece as responsible for all the ills of Europe and invoke as a pretext for an excuse to impose draconian economic and social policies in Germany and Europe. From their side Greeks will be disappointed because they are refused to Europe, to which they were oriented for two and a half centuries.They will not turn against the "markets" because they have no "address" and "phone number", but against Europe and especially Germany, accusing them for the destruction of their country -for the second time in less than a century. 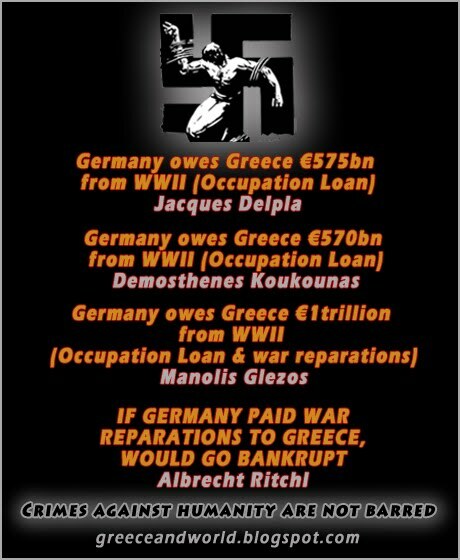 They will remember that the Germans did not pay war reparations and did not return the gold they stole from the Bank of Greece. They will reopen the contracts case of Siemens and other companies, given that European companies massively bribe Greek politicians. The International Herald Tribune, Time and the Financial Times will publish a story about hunger in Athens or analyze the weakness of Europeans to solving their problems. The implication of such a development are obvious. First of all, the image of the social catastrophe in Greece will be used to terrorize all European citizens to accept the salaries and pensions that banks will allow governments to give them. Second, all but the Germans will come to the same conclusion: "The Germans do not change." They remain the same. We can not trust them. This is just the start of the marketing process, as each element of the marketing mix has additional elements. For instance, Product takes you into new product development, product commercialisation, product optimisation, product withdrawal etc.